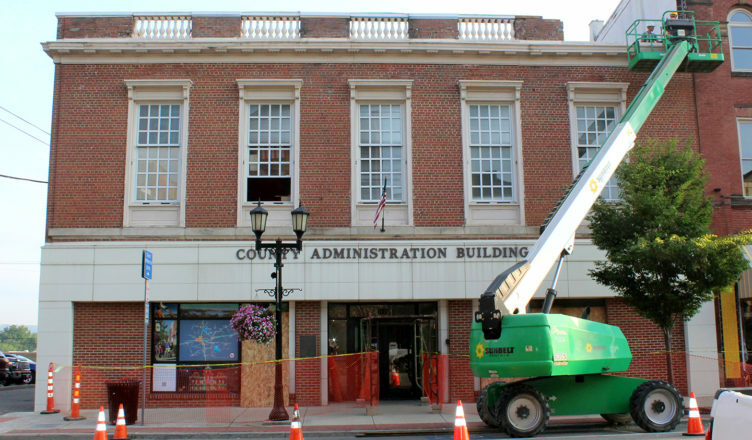 The Guernsey County Commissioners are following suit with their neighbors on the 600-block of Wheeling Avenue by performing some much needed repairs to the County Administration Building. 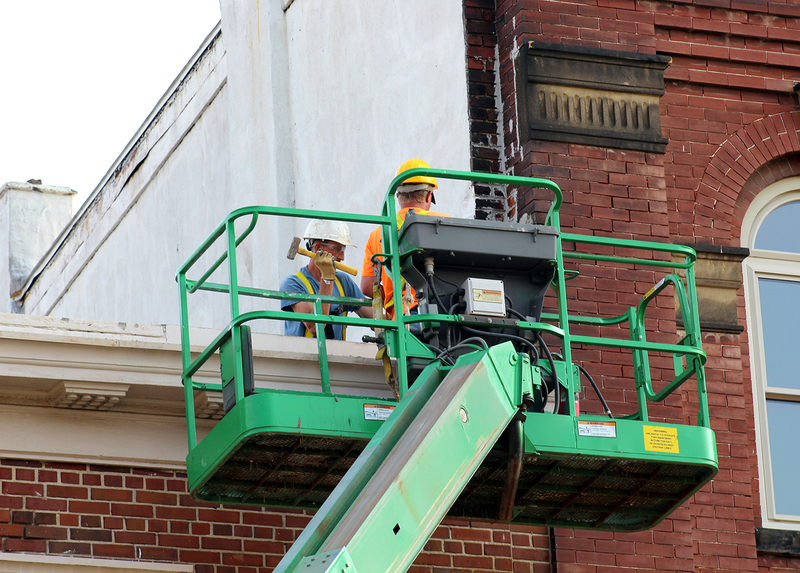 While there will be some “sprucing-up” in the process, Commission Vice-President Dave Saft is quick to point out that the repairs are primarily for pedestrian safety as well as preservation of the buildings brickwork. 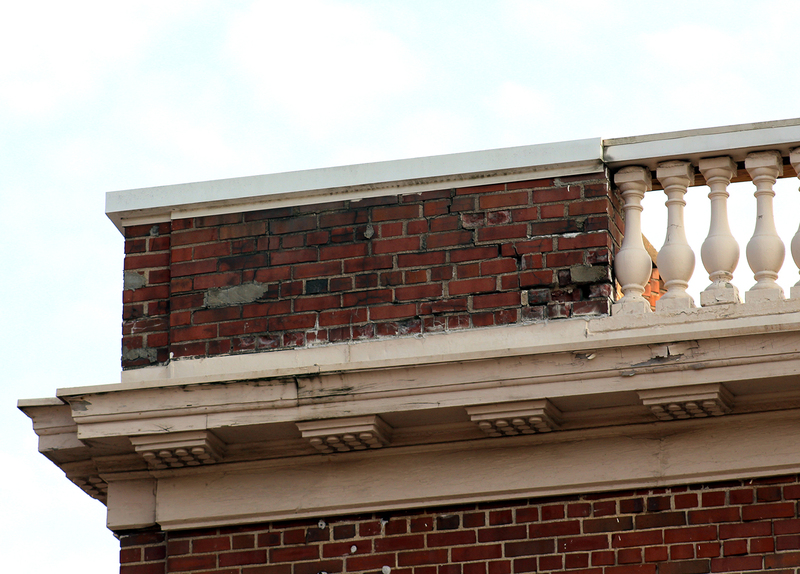 Along with replacing the bricks atop the building, the remainder will be tuck pointed; window trim will be painted; random pieces of protruding steel that supported signage during the building’s retail past will be removed; and the building’s generally weathered façade will be cleaned-up. 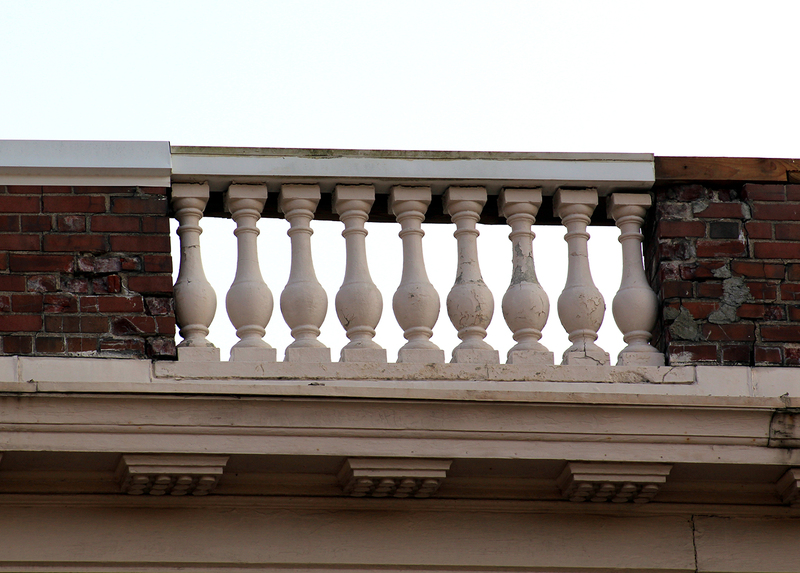 Among the Administration Building’s more distinctive architectural features are the five rows of balusters above the buildings five, second-story windows. Saft says that’s when fellow Commissioner Dave Wilson did some online research and found a better replacement. This is the first major exterior maintenance project since the former location of Montgomery-Ward, Wilson Furniture and Heilig-Meyers Furniture was reborn as the County Administration Building in 2003. According to Commissioner Skip Gardner, the building was actually constructed in 1938. Jack Warne Construction, which is responsible for the project, is maintaining access to the building’s main entrance with the installation of a scaffolding canopy for the safety of visitors and county employees. 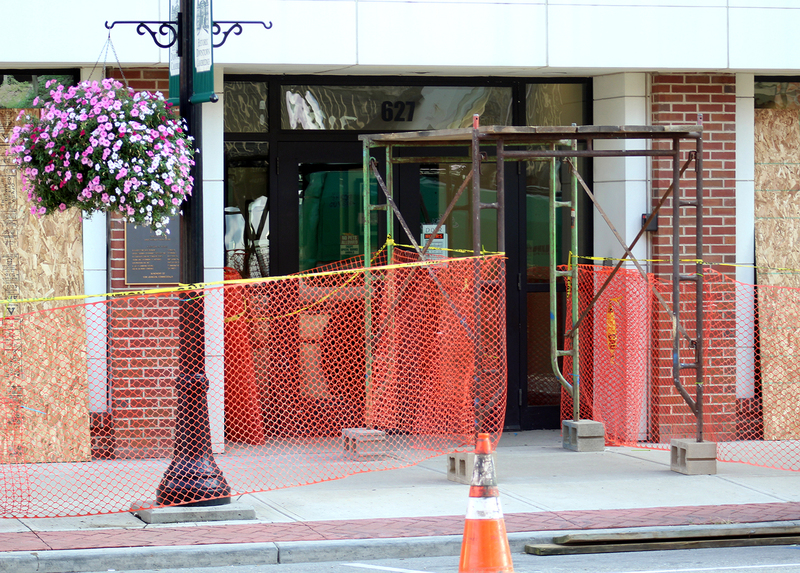 A portion of the sidewalk in front of the building will remain open while work is underway. The project is expected to be completed by mid-August.